The highly textured Bria Cowl is worked in the round and knit with the “oh so colorful” Katia Ombre yarn that is available in a gorgeous variety of graduated colorways. 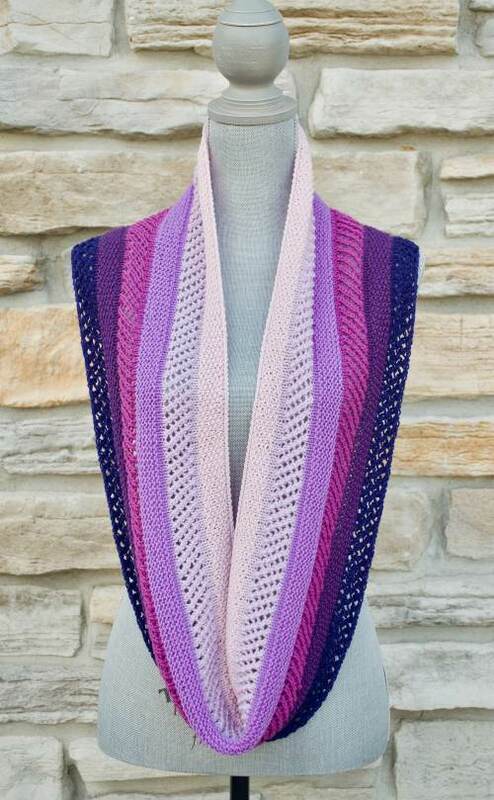 The combination of lace and solid stripes gives the Bria visual interest, as well as making this project a lot of fun to knit and wear. Wear it full length for a dramatic statement or wrap it around your neck and keep yourself nice and cozy! Visit Javoridesigns.com for more patterns.